We all want clean, soft, healthy skin. Get glowing naturally with Green Goo! Green Goo only uses organic ingredients in their products. Their new petroleum and paraben-free soaps do much more than wash away bacteria and dirt, they leave your skin feeling hydrated and rejuvenated. They smell amazing and are safe for you and the environment! Soap is part of the beauty process. Whether you need a quick clean from sweating it out at the gym or want a gentle soap for the kitchen or bathroom – skip the dry, tight skin and go straight to soft and supple in one step! 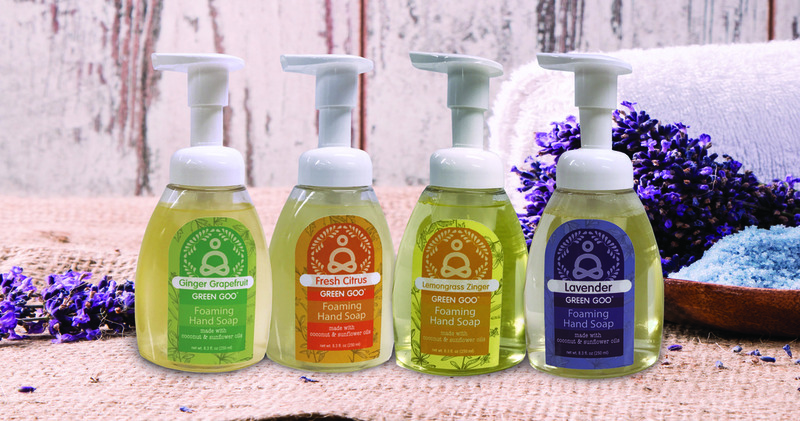 The NEW Foaming and Castile Soaps from Green Goo will enchant your senses while washing away bacteria and dirt. With luxurious, yet wholesome soap and deodorant collections, Green Goo pampers your skin and actually works! Brighten your spirits with the array of unique soaps that are extra gentle on your skin, kind to your wallet and make a real difference for your health. Foaming Soaps: Envelope your hands in a cloud of rich, nourishing foam that enchants your senses while washing away bacteria and dirt and restoring your hands to feeling luxuriously clean! With satisfying scents of Fresh Citrus, Lavender, Ginger Grapefruit, and Lemongrass Zinger, this formula will leave your skin calm, balanced, renewed and most importantly clean. 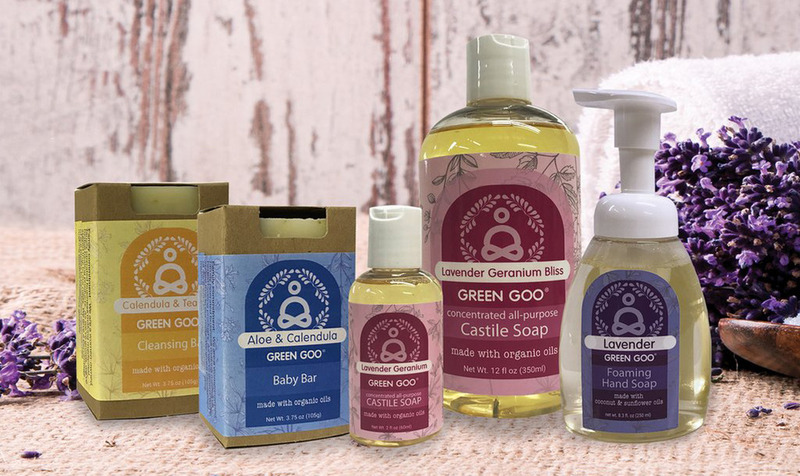 Castile Soaps: Need an all-natural soap that’s also all-purpose? The Castile collection is perfect for everything from dish soap to laundry detergent, stain remover, shower soap, bubble bath – and even pet shampoo! If you’re searching for the best for baby, check out Baby Aloe, or add Lavender soap to your spin cycle for some much needed zen. Available in 12 oz. bottles for around the house and 2 oz. bottles for all your on the go needs. Natural Soaps: What better way to start your day than with a bar of soap that brightens your morning? Swap out your shower gel for a breed of natural, luxurious bar soaps enriched with palm oil and crafted with a 35 day Cold Process, which ensures a super creamy, extra gentle and long-lasting bar guaranteed to pamper your skin! 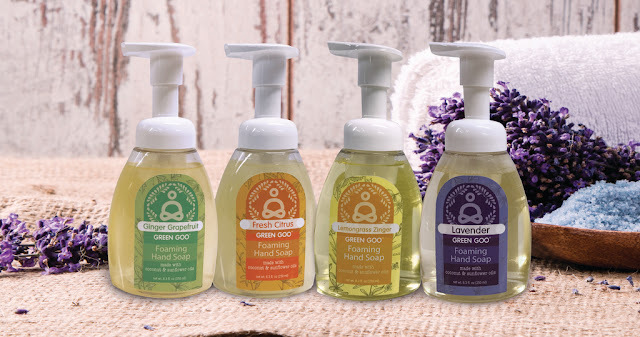 Get a clean that’s skin deep – and multi-purpose – with Green Goo’s new selection of soaps! 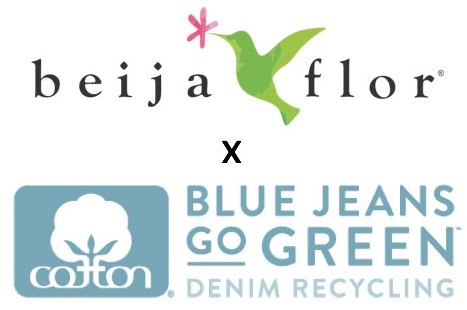 A women-owned and family operated company, Green Goo is certified B and passionate about giving back. Some organizations Green Goo has teamed up with are World Vision, John Hopkins, Mandela Foundation, and many more. Small businesses make a big impact! They are also excited to announce the launch of Green Goo's online interactive global giving initiative! GooRu is a community based interactive web app that enables you to pledge monthly to help send Green Goo first aid and body care products to people in need all over the world. Text ‘ GOO ‘ to 28748 to download the GooRu app on your phone or tablet. Once subscribed to GooRu, you will receive $100 worth of products for $29.97 as our “Thank You” for joining our cause for your first month. Thereafter, your monthly pledge of $14.77 will bring Green Goo products to places like Hargeisa Orphan Center in Somalia among many other worthy causes globally. All their products are made in the USA with 100% all natural herbs and oils. They started small, making products for friends, family, and the local farmers market. They have now grown into a thriving, value driven company.